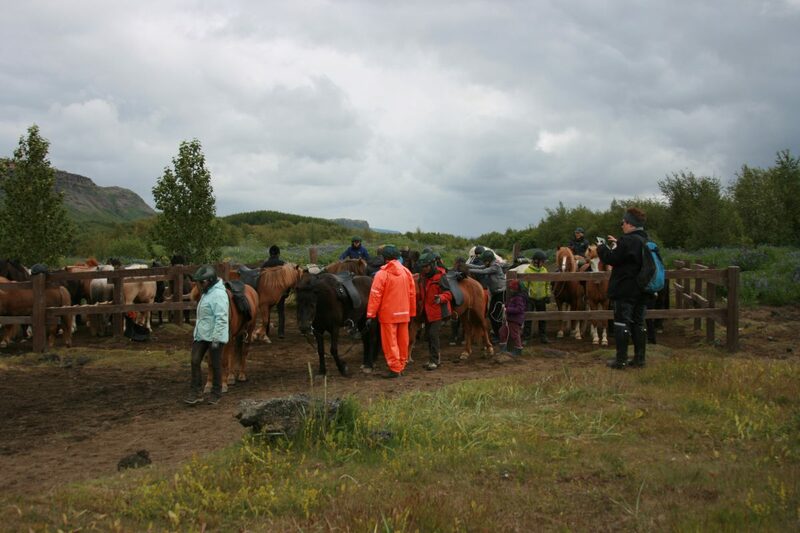 9 days and 8 nights – 7 days on horseback. This tour is only for experienced riders who trust themselves to go for a long day‘s ride. The shortest distance travelled in one day during the tour is 25 kilometers, the farthest is 48. In this tour we‘ll be traversing an area that does not have many tourists and visitors. Therefore we‘ll be experiencing the Icelandic highlands in all the magnificent glory you can imagine. We‘ll be riding for a total of 7 days and sleeping in highland cabins for 6 nights, 4 of which will include no showers or electricity. It‘s the real deal. 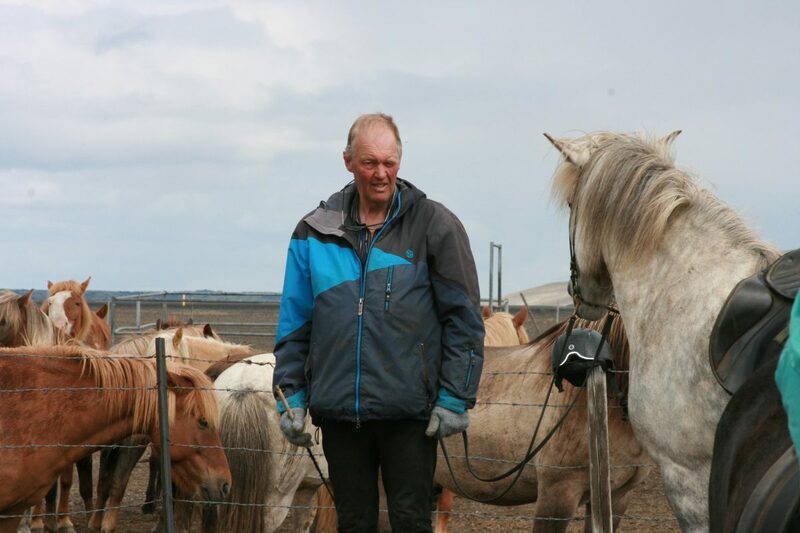 Included in the price is: driving service from Reykjavík to Steinsholt and back again after the end of the tour. Food, housing and everything related to the horses. Things not included are: soft drinks, wine and candy if people have need for such things. Those joining the tour will also need their own sleeping bag. Those joining the tour are picked up at BSÍ at 18:00 and driven to Steinsholt where they will sleep for the first night. After dinner, we will go over what we can expect from the journey ahead. 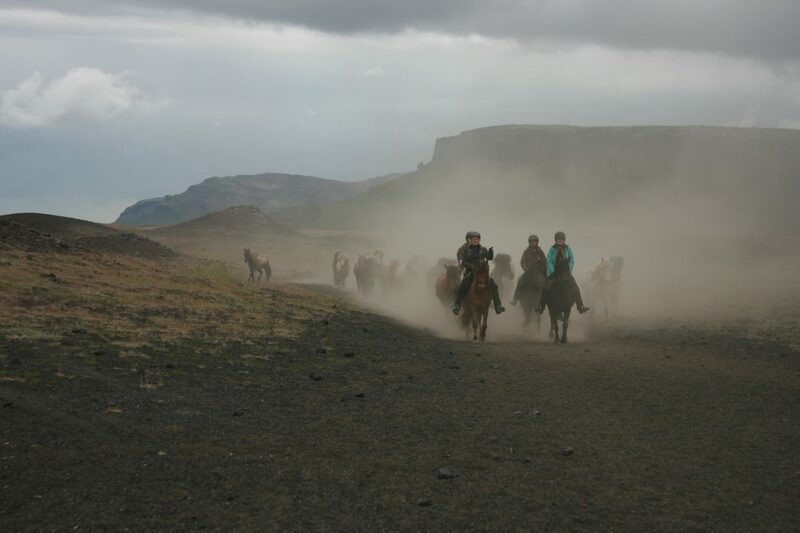 We will start from Steinsholt and go up Þjórsárdalur, a fun and beautiful area to travel through on horseback. That night we will sleep in Hólaskógur, a fine highland cabin with electricity where we can take a shower. We head on from Hólaskógur onto Sandafell and from there to Skúmstungur. From there the road lies to Gljúfurleit and towards Dalsá, we end up in Bjarnalækjarbotnar where we will stay overnight in a decent highland cabin which has no electricity nor showers. From Bjarnalækjarbotnar we‘ll be heading through Loðnaver towards the river Kisa and then across Fjórðungssandur. We will cross the river Eyvafenskvísl and end they day in a place called Tjarnarver, in a cabin with no electricity or showers. We will be staying in this cabin for 2 nights. This day will be long, and some parts will be tough to navigate due to the nature of the Þjórsárver area. One of the largest and most isolated oasis you will find in the Icelandic highlands. This area has many glacial rivers which we will need to cross at one point or another during the journey. 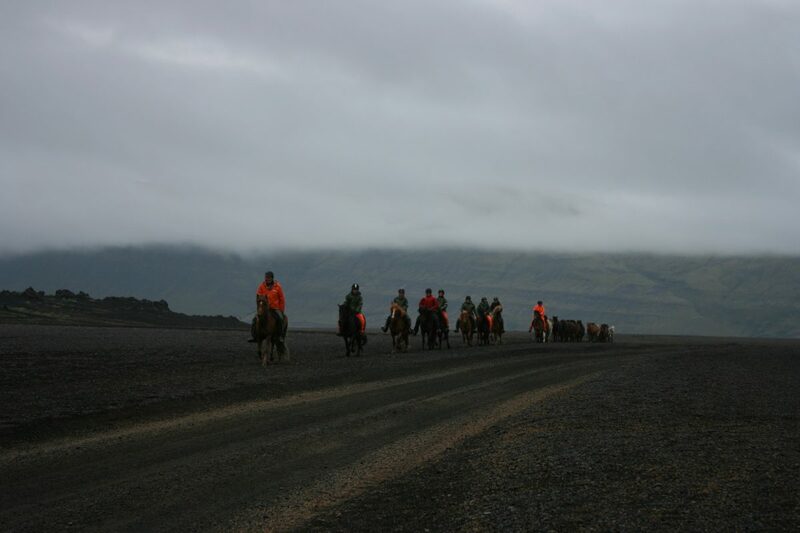 During this time we will also ride towards Arnarfell, a beautiful mountain peaking at 1143 meters above sea level, standing next to Hofsjökull, one of Iceland‘s largest glaciers. During the day, we will always be in the vicinity of Hofsjökull. After eating breakfast in Tjarnarver, we will push on across Fjórðungssandur, the same way we went on day 4. This time, however, we will not be stopping in Bjarnalækjarbotnar, but rather, we will carry on past there and stay in Gljúfurleit, a fine highland cabin with neither electricity nor a shower. We will start this day by travelling up to Gljúfurleitarfoss, a waterfall in the river Þjórsá, Iceland‘s largest river, whose source is in Hofsjökull. After this little sightseeing trip we will journey to Hólaskógur and stay there, the same highland cabin we stayed in on day 2. There we will find ourselves with both electricity and a shower. After eating breakfast we will return to Reykjavík, expected time of arrivel there is 11 o‘clock AM. 23 th of July to 31 th of July.